It is widely felt that the proposed amendments are intended to clip the wings of Information Commissioners and to undermine their autonomy. The Central Government’s move to amend the Right to Information Act by introducing an amendment bill in the monsoon session of Parliament (which commences from July 18) has not gone down well with RTI activists. It is their complaint that the Central Government kept the proposed amendments a secret, denying the opportunity of public consultation. The public had no clue about the amendment move until the ‘list of business’ for the monsoon session of Lok Sabha was published (The website of Lok Sabha did not contain the list of business at the time of publication of this article). In the list of business, as item 14 it is listed as “to amend the Right to Information Act- for introduction, consideration and publication”. However, no copy of the bill was made available in public domain. 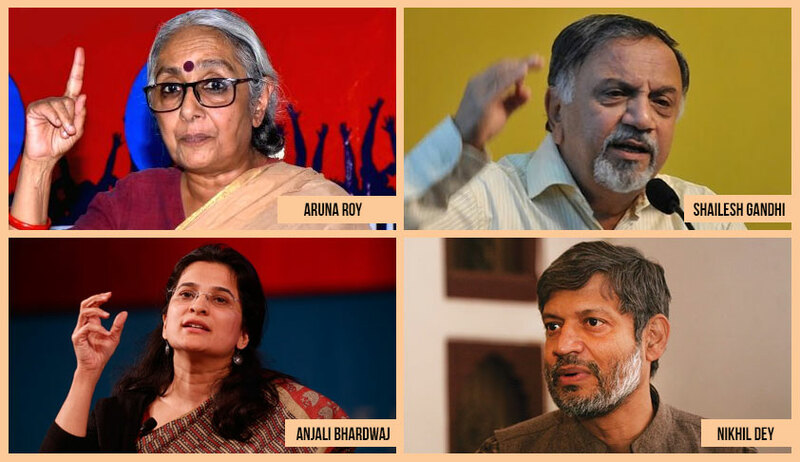 RTI Activists Aruna Roy and Nikhil Dey commented, “it is a bitter irony that a little over a decade after the RTI Act was operationalised, proposed amendments have been kept secret; there has not even been a hint of public consultation. Shailesh Gandhi, a former Central Information Commissioner, questioned the move to amend the Act. "We have one of the best RTI Acts in the world. NOBODY should bring any changes in it. WE need better implementation. Focus on that," he tweeted. The contents of the amendment bill came to public light only when RTI activist Anjali Bharadwaj obtained a copy, and posted the same in twitter (The amendment bill was not seen uploaded in the official websites of Government of India at the time of publication of this article). The proposed amendments give power to Central Government to determine term and salary of Information Commissioners. At present, the Chief Information Commissioner and Information Commissioner have a fixed term of five years. The amendment bill proposes to change the period of office of Chief Information Commissioner and Information Commissioner as “for such term as may be prescribed by the Central Government”. In the same manner, the term of office of State Information Commissioner is proposed to be curtailed by the amendment. Also, the amendment gives power to the Central Government to fix the salary and allowances of Chief Information Commissioner and State Information Commissioners. As per the present RTI Act, the salary and allowances of the Chief Information Commissioner and Information Commissioner are the same as that of the Chief Election Commissioner and Election Commissioner respectively, which are fixed as per provisions of the Constitution. The RTI Act has consciously given Information Commissioners status and privileges equal to Election Commissioner in order to ensure that they function independently and autonomously. As the reason for the amendment the bill states, “the mandate of Election Commission of India and Central and State Information Commissions are different. Hence, their status and service conditions need to be rationalised accordingly”. The principle of according a high stature, and protecting the terms of service by equating it to functionaries of constitutional bodies, is routinely adopted for independent statutory oversight bodies, including the Central Vigilance Commission and the Lokpal. They also stated that the secrecy around the amendments has prevented any meaningful debate or public engagement with the proposed changes. “The amendments seek to empower the Central government to decide the tenure and salary and allowances of Information Commissioners of the Central Information Commission and also of State Information Commissions through rules. This will fundamentally weaken the institution of the information commissions as it will adversely impact their ability to function in an independent manner. The information commissions are the final authorities to adjudicate on claims of access to information which is a deemed fundamental right under the Constitution. The status conferred on commissioners under the RTI Act is to empower them to carry out their functions autonomously and require even the highest offices to comply with the provisions of the law. Further, the Central government usurping for itself the power to decide even the tenure, salaries and allowances of information commissioners of the State Information Commissions, raises key issues of federalism”, said the press release of NCPRI. The press release also points out that the Central Government has not taken any steps to notify the Whistleblowers Protection Act (which was passed in 2014). On July 2, the Supreme Court had issued a notice in a PIL filed seeking the filling up of vacancies in Centre and State Information Commissions. “The Government of India and state governments have attempted to stifle the functioning of the RTI Act by failing to do their statutory duty of ensuring the appointment of commissioners in the Central Information Commission and State Information Commissions in a timely manner”, contended the PIL. In this backdrop, it is widely felt that the proposed amendments are intended to clip the wings of Information Commissioners and to undermine their autonomy.